An Aberdeen councillor has been appointed to one of the ministries of the Church of Scotland and is encouraging people to consider following in his footsteps. Martin Greig was “set apart” as a reader which means he will be able to assist in all kinds of worship in church and other settings like schools and nursing homes. The Liberal Democrat councillor was introduced in his new role at the city's Holburn West Parish Church, where he is an elder and joint session clerk. 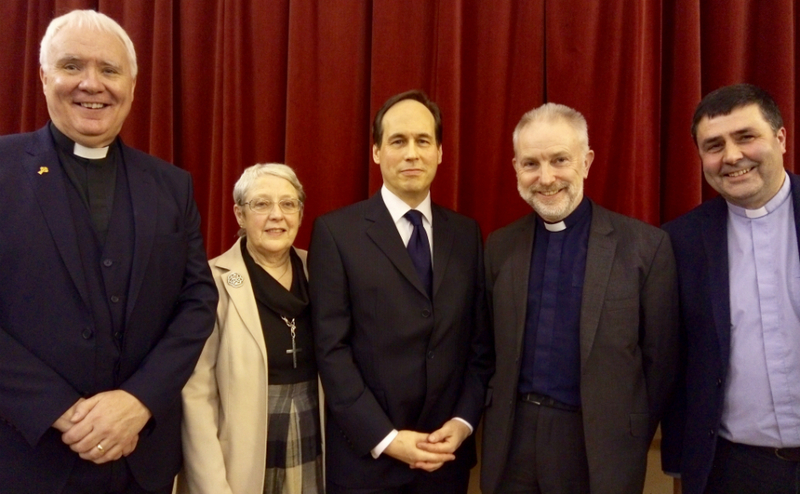 L-R - Rev Scott Guy, minister of Northfield Church, Moderator to Presbytery, Mrs Lorna Glen, Cllr Martin Greig, Presbytery of Aberdeen Clerk, Rev Dr John Ferguson and Rev Duncan Eddie, minister at Holburn West Parish Church..
A reader is a member of the Kirk whose duties are principally concerned with the ministry of the word and the conduct of public worship. They can be attached to the ministry team of a parish, and they can also be attached to a group of linked parishes, preaching regularly in one or more congregations, and sharing in pastoral work associated with worship. Readers can be used as chaplains in homes for the aged, or assisting in hospitals or schools, and can conduct funerals and share in providing pastoral care for the family. They also carry out their traditional role of providing pulpit supply when ministers are absent or on holiday. Mr Greig, who has been an elder at Holburn West Parish Church since 2007, said: "It would be good to see more people exploring the call to the readership. "This office offers an important opportunity to serve. "There are surely individuals with appropriate gifts who would be suited to this calling. "Readership is a positive way to be involved in the life of the church." Rev Dr John Ferguson, Clerk to the Presbytery of Aberdeen, said: “The Presbytery is delighted to welcome Martin Greig as a new reader in the Church of Scotland. “He has been training for the role for a number of years, during which time he undertook distance learning and gained practical experience at Northfield Church and Peterculter Church. “As one of Aberdeen City’s local councillors, Martin brings great experience to the role. Mr Greig, who represents the Hazlehead/ Ashley/ Queens Cross/Countesswells ward, was “set apart” as a reader at a service conducted by Lorna Glen, Moderator of the Presbytery of Aberdeen, last week. Rev Duncan Eddie, minister of Holburn West Parish Church, said: “Martin is a very faithful and diligent servant of the Church and it is great to see him become a reader. Learn more about entering one of the ministries of the Church of Scotland.